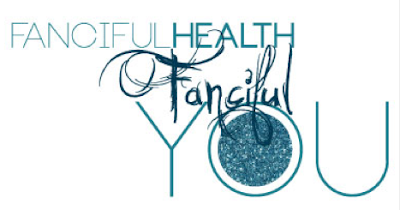 As we wrap up this week of Fanciful Health, Fanciful You, I wanted to share with you the two things that jump started me into a healthier lifestyle. This is what worked for and what I stuck with-it may not be for you. I encourage to you find your health passion and create a well-designed life. I first started watching Tone It Up's free workout videos on YouTube. I look back and don't know how I found these ladies, but their hard working attitude and vivacious spirit made me want to get fit. I eventually bought their first DVD (later got the Beach Babe edition which I LOVE) and not long after bought the nutrition plan. The healthy, simple meals that were planned out was what really made me change my eating habits. I crave veggies now and prefer clean foods over a splurge of M&Ms. My body just learned to love real food more. The best thing was that I wasn't watching calories-just eating the right things at the right time of day. Trainers Karena and Katrina are constantly updating the diet plan to fit the season, releasing new FREE workouts on their site, and challenging members with new series. Jump in on the LOVE your Body Series gearing up for Valentine's Day now. And no, I was not asked to review their method, I just love it so much I wanted to share! I had heard the hype about barre classes and finally decided to try it by buying a package of 5 classes through Groupon. I went to the first class and have to admit I was a little confused, but I was challenged, sore and really did feel a change. The next two classes made me feel better-I knew what was coming and started to know where I needed to connect in class. I wasn't going consistently, maybe once a week if even that. Even though I spread out those 5 classes, I could tell a major change in my body. I was more flexible, stronger, my metabolism was changing. I loved that I could go in and shut out the world for an hour and concentrate on my mind and body. I left feeling refreshed even though my muscles were exhausted. As time went on, I went to class more and more frequently, addicted to the way the workouts were reshaping my body simply by working the muscles in small, isometric movements. I finally got to the point where suddenly the fat was gone and in its place was toned muscle. Of course, I'm nowhere near the powerhouse of a lot of women that take these classes and there are still areas of my body I would like to improve but now I feel good. So good that I've stopped doing cardio (even though I should get back into it). Suzanne Bowen's Barre Amped method completely changed my workouts. I would even say it changed my life. I'm now a certified instructor at a new studio and hope that I can influence those that take my class to really love this method and embrace how good it makes you feel inside and out. I can't say enough about it. I'm so proud to be a part of the growth of this method because it yields quick results and boosts confidence. Tip: Suzanne Bowen now has streaming classes on her site if you don't have a studio near you. She. Is. Amazing. I encourage you to find what you love to do, stop making excuses and do it! Eat greener and leaner, push yourself to be healthier, don't rely on a scale for how you feel-look at your outward changes and your inward well being. It's just a number (and muscle weighs more than fat so it's not accurate of BMI) and you are far more than that. Start leading a fanciful, healthful well-designed life!